I remember the very first year I had goats the scariest thing for me was training our little goat kids on the electric goat fencing. I was not sure how to go about doing it and I remember I fumbled my way through. Luckily none of the little kids got seriously injured that first year, but we sure did have a couple of close calls. After 6 seasons of kids, I have learned how to make things just a bit easier for both myself and my animals. The trick is to train the younger kids with the older goats on an electric fence so they learn to safely avoid it. The older goats will take the lead and (hopefully) show the younger kids that the fence is to be respected. This will, in turn, keep your entire herd safe and happy. The most important tip I can give is to not do this alone. 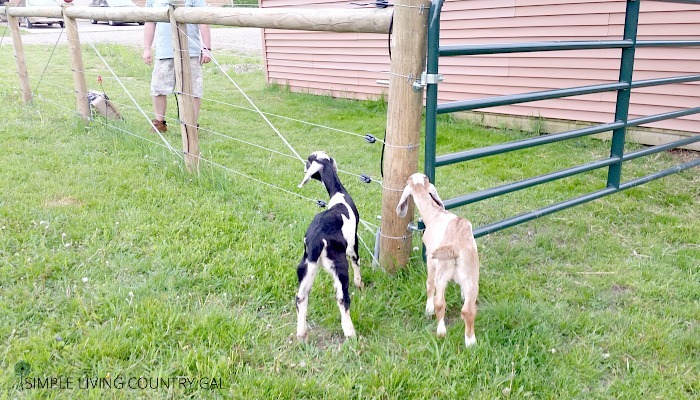 It takes two people to train goats on electric goat fencing. Try to enlist a friend, spouse, or one of your kids to help out. When a goat gets zapped on a fence it’s their nose that usually gets the “hit” first. More often than not, when a goat gets a zap on the nose they will pull back and run the opposite way (yelling the whole time!). However, there are a few goats that panic and run FORWARD through the fence. If you use fence netting they can get stuck in the opening of the netting continually getting zapped until they are able to pull free. Having an extra person there to shut the electric off when this happens makes this process easier on the goats and easier on you as well. The tips and steps I am going to share will work with all types of electric fencing. Netting and high tinsel. In order for a goat to truly understand the fence, they need a “zap”. The most sensitive part of a goat is their nose, so if they touch the fence with another part of their body the zap will not be as effective. Not all goats need to be zapped. If you have a follower goat then you do not necessarily need to zap them to train them. Those goats will stay back with the herd. 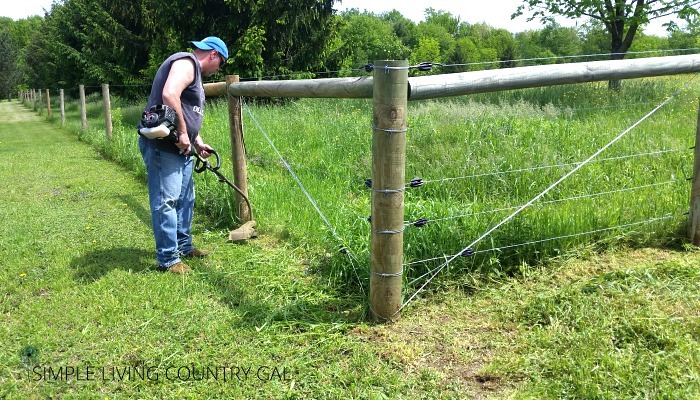 Always keep your fence line trimmed and neat so the currents run smoothly. I cannot stress enough the importance of this. Have this chore on your monthly to-do list to ensure your fence never loses current. Remember you are not just keeping your livestock in but you are keeping predators out as well. Never EVER force a goat to get zapped. I know some owners that literally carry their goats to the fence and zap their noses. This does absolutely nothing beneficial. Sure you are showing the goat that the fence does hurt, but you did it on your terms and not theirs. 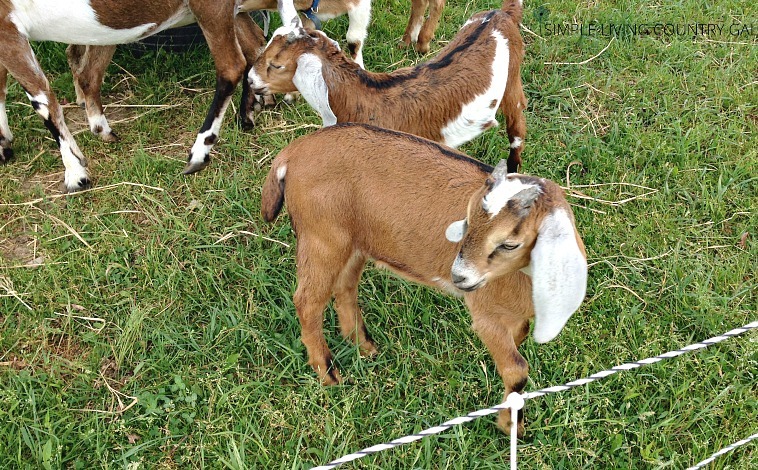 Allowing the goats to get zapped naturally helps them to learn with the least amount of trauma. 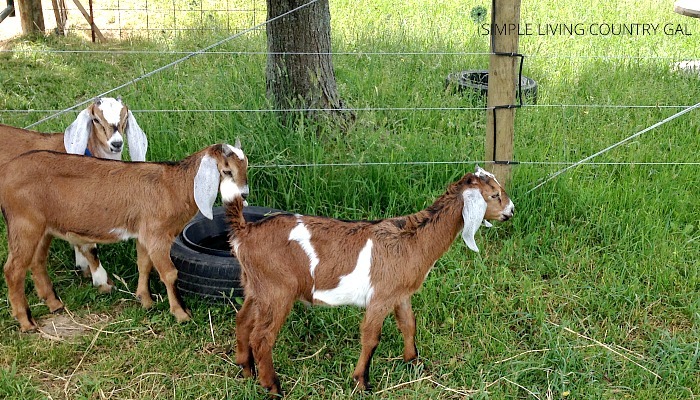 How to train your goats on electric goat fencing. Step #1 Always have at least 2 people. Like I said before, this is a tip I learned the hard way. Have someone near the electric source at all times so you have a shut off if any of your goats get stuck in the fence. The goal is to train not to hurt. Step #2 Let the goats out. You can either do this one by one or in a group. I prefer a group. As long as you have enough eyes to watch everyone, might as well get it all done in one shot. Step #3 Give them time to explore. Let your goats take their time and check everything out. Goats are a very curious animal and it usually will not take long for them to “test” the fence out. Just take a seat and let them decided when to inspect the fence. Step #4 Let the “zap” happen. If you are new to animals, this can be easier said than done. Watching your babies get hurt is never enjoyable, but let me assure you. That zap will keep them safe. 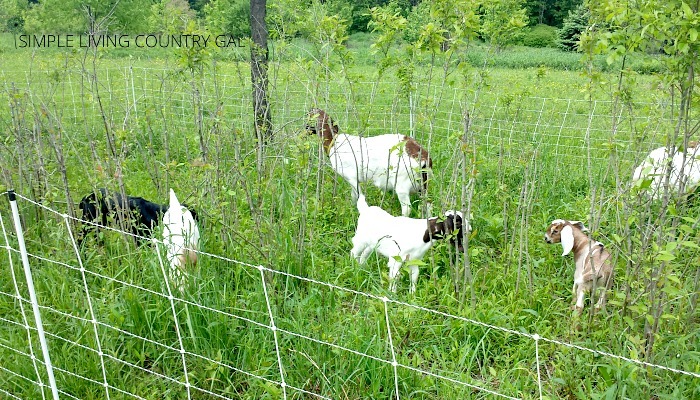 Goats learn quickly and if you teach them to respect the fence you should never have an issue with breakouts. Also, the zaps I am talking about are not life-altering ones. I have been zapped many MANY times(more than I care to admit) and yes it does sting but not too badly. Step #5 Once isn’t always enough. I had a goat once that simply could not stay away from the fence. I swear she truly believed the grass most definitely was greener on the other side. I think she was zapped 4 times before she finally understood to stay away from that fence. I never EVER had that goat break out of our pasture. She was well trained and understood the fence was something to stay away from. Step #6 Lure and test. This may sound mean, but it is an important part of training your goats. Have someone on the other side of the fence to “tempt” the goats a bit. This will show you and them if they are truly trained. If the goats come close to the fence, a sharp “no” will usually remind them. But be prepared for the goat that simply will not listen and get a little zap on their nose for getting too close. Step #7 When the fence doesn’t work. 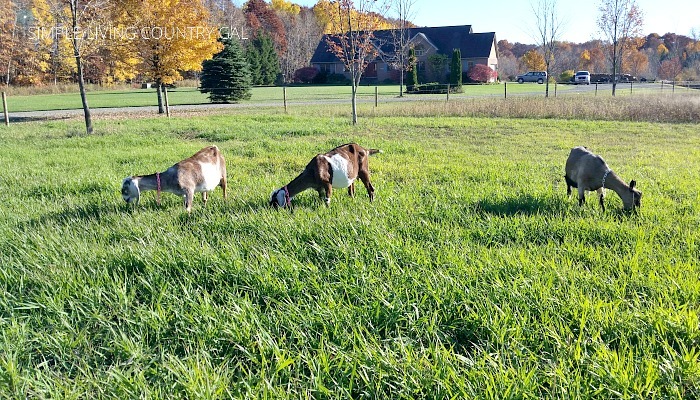 This is going to be hard to hear, but if you have a goat that simply cannot and will not be trained on an electric fence you may need to rethink things. If one goat insists on breaking out of your pasture the others will surely follow. Stopping problems before they can happen is usually best. If you have a goat that breaks out you may either need to find other housing for that goat or find a new home altogether. The safety of your herd should always be first and foremost. If that means letting go of one goat for the benefit of the others you may need to think about that. 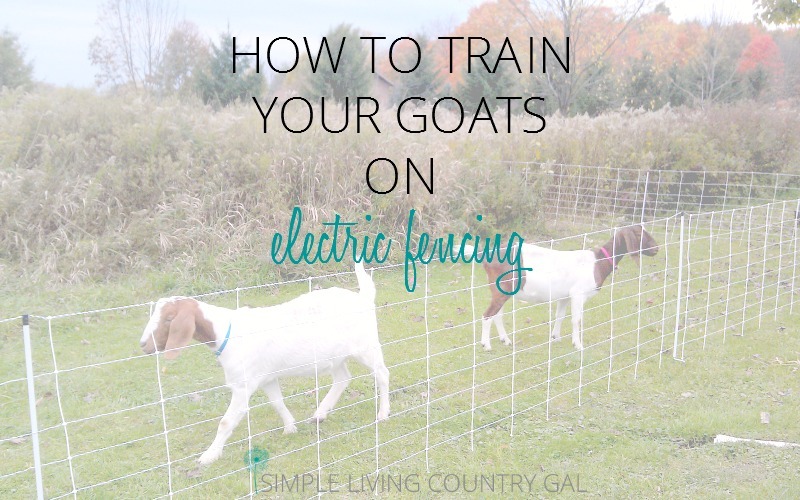 Learning how to correctly train your goats on electric fencing will help in more ways than one. 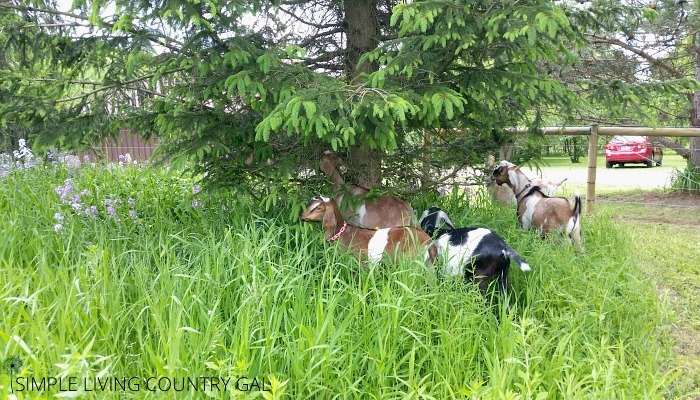 Knowing you can safely and securely leave your animals out to pasture will give you and your goats more freedom. Take the time to train your livestock effectively so you can give them the freedom to roam and graze. 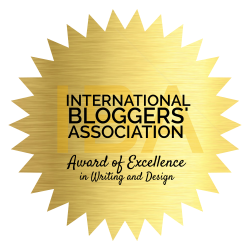 You can find my post over at my favorite blog hop!